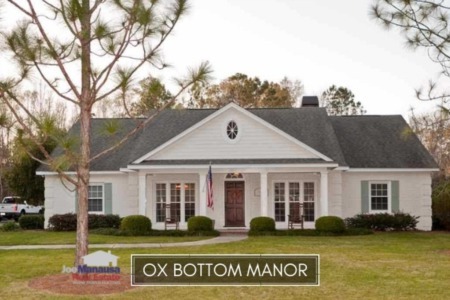 Moore Pond is a luxury home community located just north of Ox Bottom Road along the Thomasville Road Corridor. 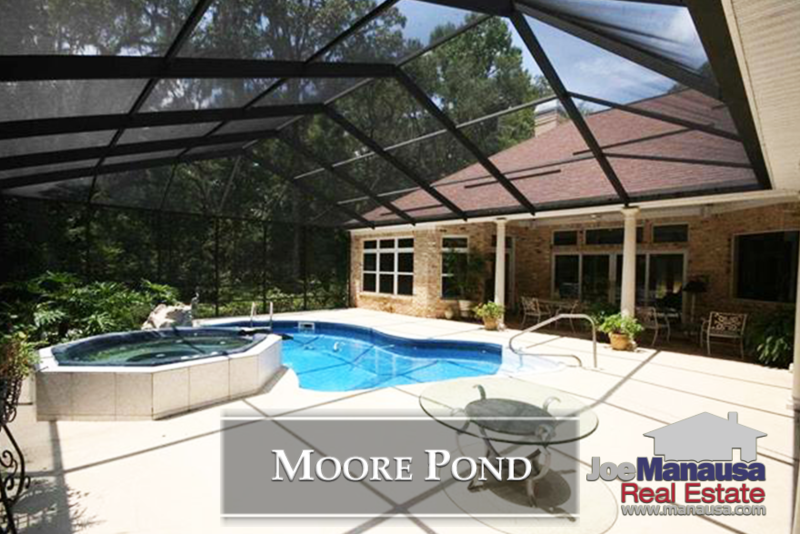 As a rare gated community in the 32312 zip code, Moore Pond possesses roughly 50 large high-end homes nestled in a private setting, surrounding a pond. The following report includes graphs of average home prices, home values, and home sizes in Moore Pond, as well as all current listings in the Tallahassee MLS and all closed home sales in Moore Pond going back to 1993. It is important to note that the narrative contained below is for sales through December for all previous years, and through mid November in 2018. The listings, graphs and closed sales table will be continuously updated into the future (meaning bookmark this page if you always want to know the current status of homes in Moore Pond). Average home prices in Moore Pond are poised to close the year above $900K, only the fifth year on record that we have seen this happen. Through mid November, the average price of a home sold in Moore Pond has been $997,500. Home sales activity for Moore Pond is well above average and home sales here will end up tied for the most in a year since 2004. Currently, there are three luxury homes for sale and one is under contract. Average home values continue to fluctuate in Moore Pond due to the limited number of sales and the variety of homes being sold. The average value of a home sold in Moore Pond this year has been $181 per square foot. Due to low liquidity, we will continue seeing wild fluctuations in "average" values here and thus they simply are not reliable for anything more than a feel for what is going on. Additional variables, such as updates and renovations, pools, lakefront versus interior, etc. 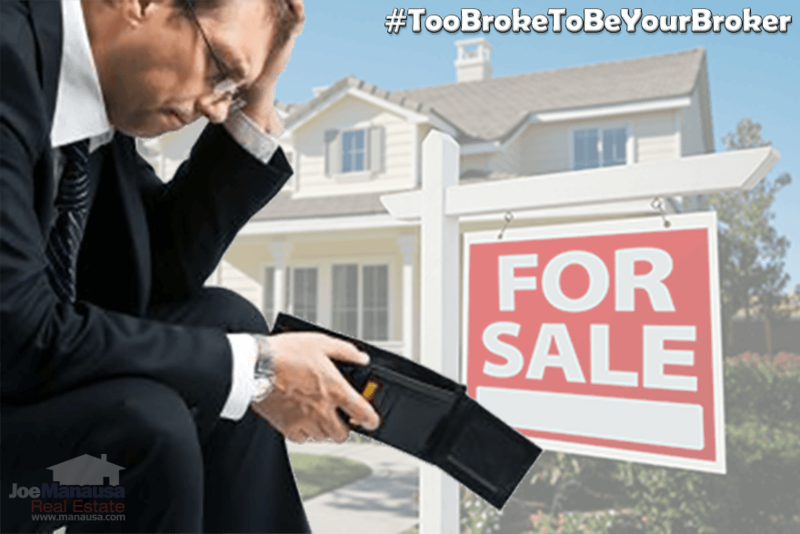 only add to need for you to hire an expert on high end homes so that you'll be in good hands. The average home size sold in Moore Pond typically falls in a range of 4,000 to over 6,000 square feet, and 2018 has been no different. The four luxury homes sold in Moore Pond in 2018 averaged 5,513 square feet in size. The following list contains all home sales in Moore Pond going back to 1993. 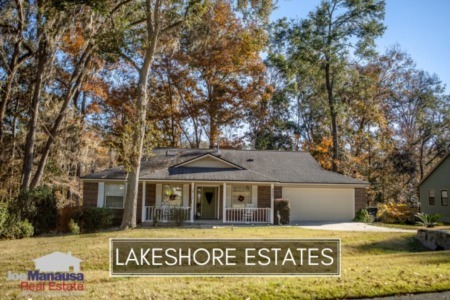 This concludes our November 2018 update on home sales in Moore Pond, please give us a call at (850) 366-8917 or drop us a note if you have questions about this luxury home neighborhood in NE Tallahassee. Who are high end homebuyers and sellers talking about today? They hired Joe Manausa Real Estate and shared their experiences online so that you can see their reviews as reported on Google, Facebook and Zillow: http://www.manausa.com/testimonials.